searchmain menuTechnobloggleWhat did the SOPAstrike accomplish? What did the SOPAstrike accomplish? 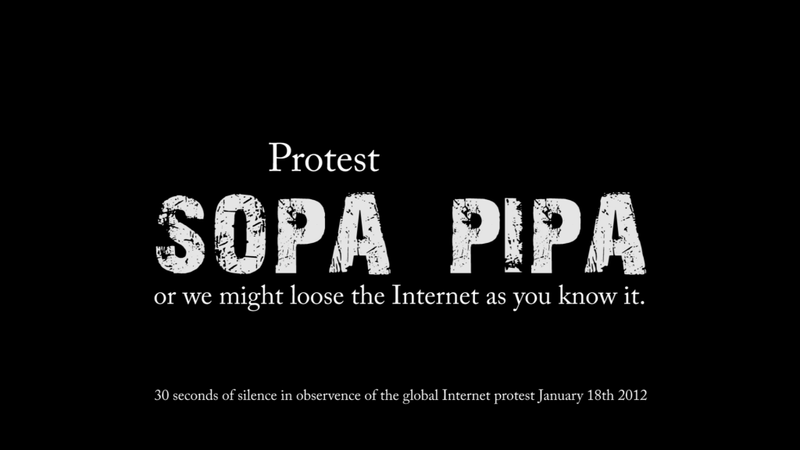 after thousands of web sites went offline in protest - was anything acomplished? After the dust settled on what some refer to as the SOPAstrike and others are calling the largest Internet protest ever what was the result. Did it acomplish anything? All initial reports would seem to concur that is a resounding Yes! For our part we found a heartening and inspiring comroderie through Twitter, Facebook, and Google+ where geeks and non-geeks came together in support of a unified goal. There was alarm and humour, care and concern. Engine Advocacy, a service that helps people call their local members of Congress, was averaging roughly 2,000 calls per second! As of the evening January 18th: 68 support, 71 oppose. That morning, it was 80 support, 31 oppose. Another hidden silver lining in all this also happened yesterday, it was harder to spot and many won´t even have realized that it happened. The world grew just a little closer, yet again, through this massive confluence and focused communication. The Internet again served up what it´s best at doing; bringing all people together as equals to enhance understanding. Now the question remains given the few days remaining before the US votes on this legsliation and Big-media already pulling out their immence pocket-books to try and turn the tide, will this be enough? You can sign the petition here if you haven´t already, and contact your legislators here.